THIS month Craig Fuller, a workshop administrator for Northampton based municipal vehicle and plant hire company Specialist Fleet Services Ltd, will run his second marathon out of the 12 he plans to complete this year. 30 year old Craig set himself the challenge as a way of saying thank you to The Meningitis Trust and Northampton General Hospital Intensive Care Unit, for their help and support when his wife Katie, 30, was diagnosed with Meningoencephalitis back in 2008. The illness attacks both the brain lining and brain stems, and can leave serious after-effects. Luckily Katie made a full recovery and the couple now has a 7 month old baby girl called Poppy. 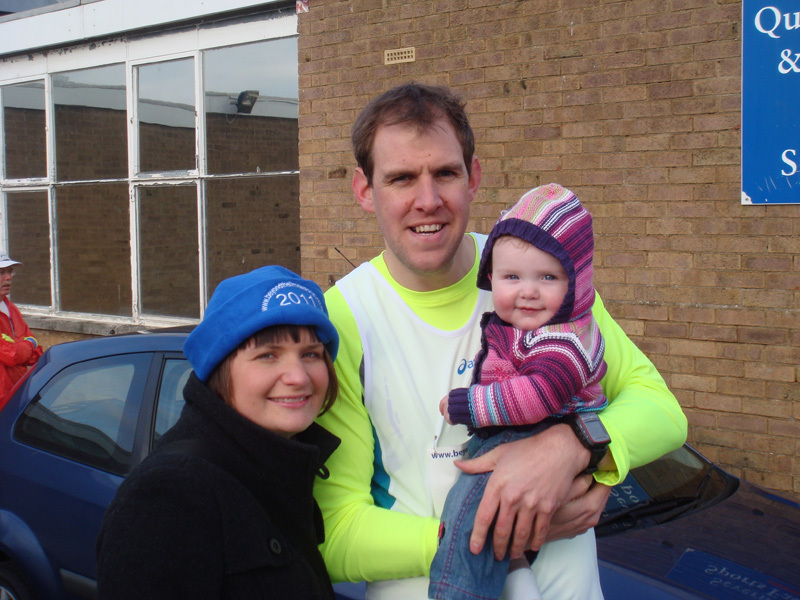 Craig completed his first race on 23 January in Gloucester in 4 ½ hours, which he was ‘very happy with’. The next run takes place in Cambridge on 27 February and his colleagues at work are all rooting for him. A member of Business In The Community, one of The Princes’s Charities, SFS Ltd encourages its staff to ‘give back’ to the community. A recent initiative involves fourteen members of staff who have volunteered to be trained to help teach children to read in local schools. To support the Meningitis Trust visit?Click on link for my 'Virgin just giving' site to www.virginmoneygiving.com/CraigFuller?